Ask your cable and cell phone providers for lower plans. Reduce the amount of times you dine out. Hold off on expenses like clothes, unless they are a necessity. By following these steps, it can help you save some money. From there, you can take that additional money to manage your debts. This is where you evaluate each lender you owe money to and develop a plan to pay them off as quickly as you can. The most effective strategy to do this is the debt snowball plan. This is where you pay off the creditor with the smallest amount owed first, while making regular payments to the rest of your lenders. Once you pay off the first debt, you move on to the next one and continue this process until you pay off all of your bills. This is an excellent way to build momentum and help you gain the confidence needed to get out of debt. If you are delinquent on an account or have a high interest rate, it’s important to contact that lender and see if there are willing to reduce your rate and eliminate fees. In many instances, they will be happy to work with you. If you have enough cash on hand, see if you can make a settlement, which is a lump sum payment to pay off the balance. In some cases, the creditor may be willing to settle for less than the full amount owed. An even better idea is to contact a debt settlement firm, which can negotiate with your creditors on your behalf. Often, creditors will settle the debt for substantially less than what you owe. It’s important to receive this agreement in writing. Furthermore, if the debt they forgive is more than $600, you may have to pay taxes on it. Lastly, this will hurt your credit score some, but it will help you get out of debt and that’s the goal. One of the best reasons tackling debt is so important is that it helps you develop sound financial behaviors. When you do this, you find ways to adjust your lifestyle to fit within your budget. This means once you pay off your creditors, you can take that additional money you save monthly and place it into a high-interest savings account. As a result, even after you pay off your bills, you will see the benefits of changing your habits. 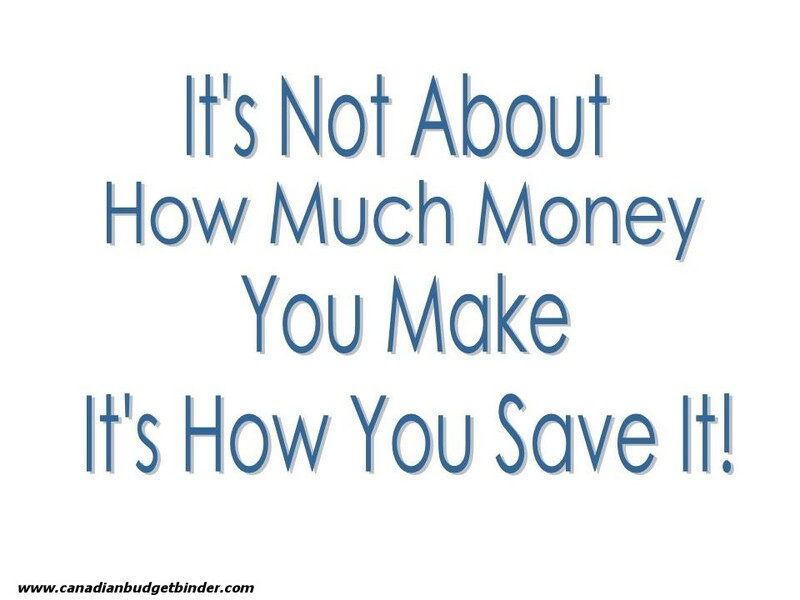 Ultimately, while it is a good practice to save, paying off your bills is often more important. By developing a budget and making some sacrifices, you can free up some cash to pay your creditors. Furthermore, by assessing your situation and determining the best course of action, you are taking steps that will result in a debt-free future. Guest Post By: Jeffery Sterner is a blogger with Debt.org, an organization that helps consumers prevent and get out of debt. Good points. It does not make much sense to start a savings account when there are credit cards due with interest accruing. Just the same, if one does not set aside some money for emergencies, the credit card will have to be used and it becomes a viscous cycle. The best thing is a budget, and then saying no to a lot of spending. Good guest post. I like the advice to prioritize your creditors. When I was a practicing advisor, I’d often have people come in to meet who were paying all the wrong people first while the important stuff was only getting worse. Debt payoff is the goal for this year,so I am in total agreement. I have a little over $1000 in debt on a zero interest home depot card for some carpet I put in a home a recently sold. That’s all the debt I have and that will be paid off soon. That will change soon as I just bought a new home today. So much for being debt-free! That’s awesome mate! Congrats. I guess we should look forward to plenty of blog posts about your new home!!! I just paid off a high interest credit card. whoo hoo! 1200 to go on a current zero interest card. Trying to get that paid off before there is interest. I always pack my own lunch and car pool to work. I’m not sure how much it saves me, but it has to be something. Oh mate I’m betting it saves you a pretty penny. I remember mates back home would buy lunch and dinner including snacks every day at work.. it was crazy. Loved the article……. this is a lot more info than we have ever gotten from our bank…. which is why we are thinking of changing banks. Our daughter went to a different bank than we use as the husband of a co-worker was loans officer…. he was the first one to sit down and try to work something out budget wise for her. Something neither she nor we had received from our currant bank…. Sometimes it’s worth it to get second opinions and to do research. Great Post!! It winds me up when i hear about people putting money in a 3% interest account each month while they have £1000s on credit cards at 20% APR!! I think it depends on the return. I have a really low interest rate on the remaining balance of my student loan and when I calculated how much I would “save” in interest by cutting my savings this year, it was so negligible that I just stuck with my current plan. But I think that’s because I’m already paying quite a bit back. There isn’t really room in the budget for it right now, but I’d love to build up some sizable savings. We now have 2 medical loans to pay for hospital services not covered by our insurance. We are talking about $6000 in debt just because we didn’t have enough of an emergency fund. I agree a savings fund should be part of the budget and always waiting for that emergency that will pop up. Sadly there’s no negotiating with student loans. . . so they are next on our list of things to attack. The credit debt is gone, the cars are paid off, and the 8-month emergency fund is just $850 shy of where we’d like it to be. Good for you!! Student Loans although not bad loans can add up and cost a fortune if not paid. Keep at it you will get there Dee! I definitely agree that paying off your debt before savings should be the priority! Unless you can find me a place where my savings will pay me 20% return. 🙂 Unfortunately, I find some of my clients so used to making the monthly payments that they would rather put some money aside to build a savings cushion and/or contribute to an RRSP to get the tax refund instead. This doesn’t make sense from a numbers standpoint, but emotions usually win out! Negotiating debt is something people are afraid to do, or just assume can’t be done, it is actually super easy and companies prefer that rather than chasing you for years or having you filing for bankruptcy. Companies figure they might as well get what they can get so if they can negotiate something that will work they will do it. It’s up to the consumer to say, “listen, I’m going to go bankrupt” or whatever the case and if you want some money please work with me to come up with a solution that works for both of us. Good tips, many of which we do now that we live by a budget. I would add though, that even if you’re in debt you still need to have at least $500 or $1000 saved some how. I know this might be counter-intuitive, but having that as a backup will help in the large majority of emergencies and can help avoid further debt. I would also add that attacking the card with the highest rate is just as effective as the snowball method in many cases. You can potentially save a good chunk of money by knocking out the highest rate card first. Ultimately, having that mindset to get rid of debt is vital and should be aided with the implementation of a budget. Great article Mr. CBB! I did a dual prong approach. I did have the typical $1000 in savings for emergencies when I started to pay off my credit cards, but when I did I still put money into my savings. It was like 90/10 between credit card payments and savings. I did this so I wouldn’t be so far behind when I got done. I would have a cushion as well if I was in that position.